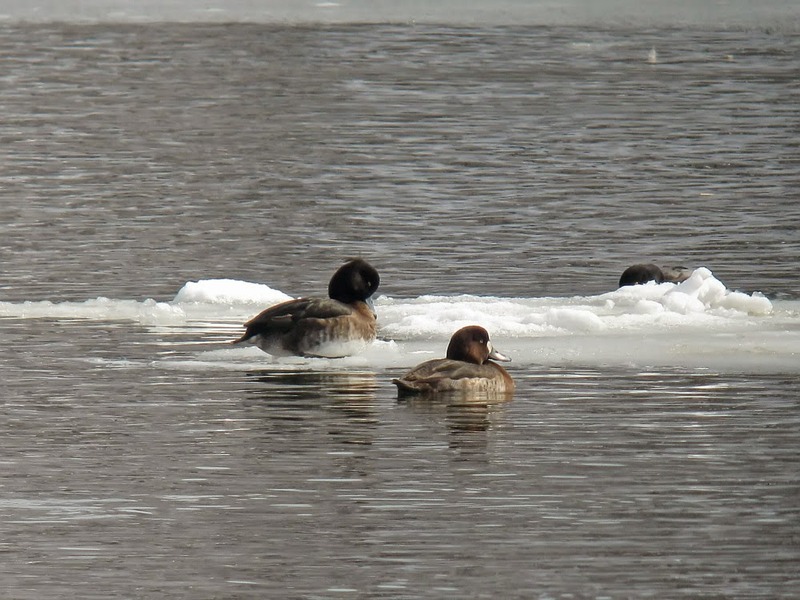 Much thanks to Tina for her stellar field work and for a phone call after she found today's TUFTED DUCK, a female at Captain's Cove in Bridgeport, CT. 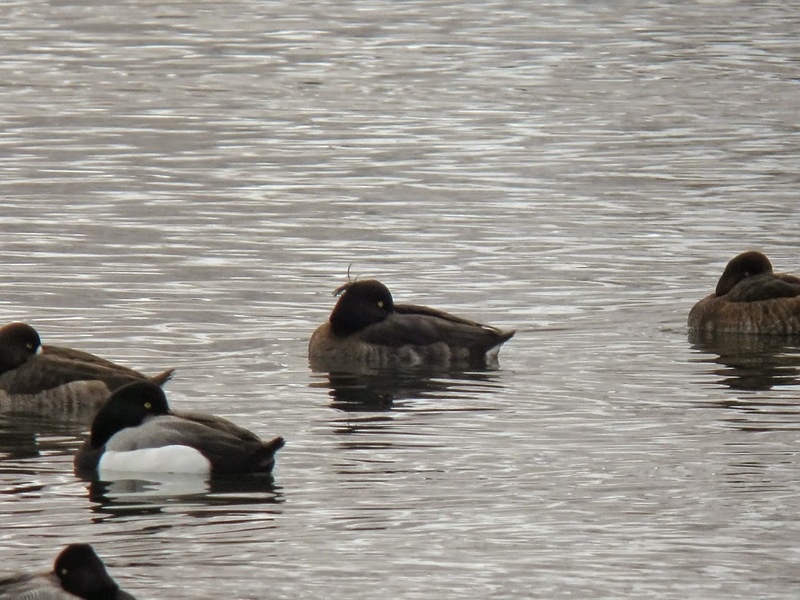 This is the first chase-able Tufted Duck in the state in fifteen years! That is a remarkable gap in records, especially considering that there were several individuals recorded between 1997 and 2000. (Note: I seem to recall one report in that 15-yr period, which I will have to look into...it is not in eBird nor in the ARCC files, however, so my memory may be failing me). This was state bird #370 for me...the only list that I really keep these days (with the one exception being a temporary interest in my ABA list as it approaches 700).